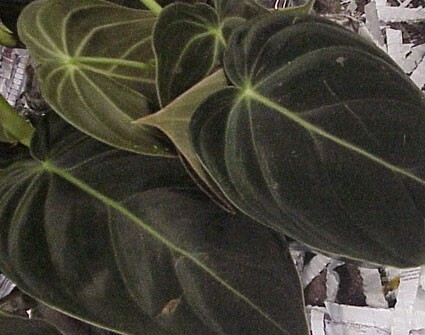 "Black Gold" Elongated heart-shaped leaves of dark velvet with a lovely coppery sheen and delicate ivory veins. 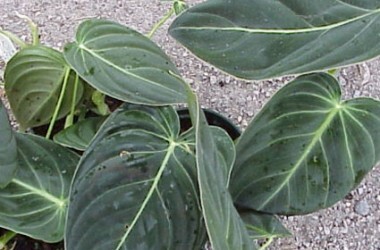 Thrives in high humidity and low light, and will need a misting system if not kept in a case. 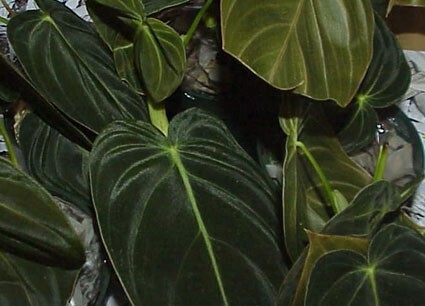 This is one of the true beauties of the philodendron world. 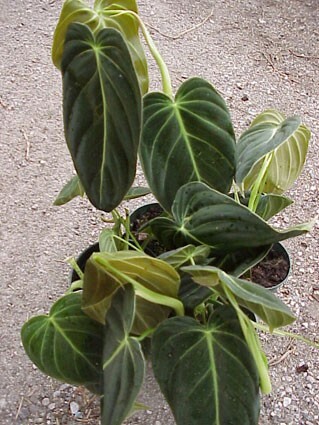 Not a houseplant unless grown in a wardian case and you will need a tropical greenhouse has it matures. 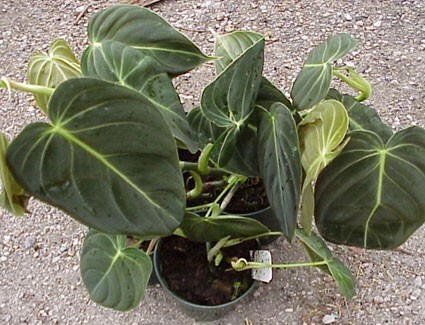 We propagate this plant AFTER receiving your order; thus, expect a wait time. There is a current HOLD on shipping this Andreanum as it is increadibly chill sensitive. These will not ship until late April at the earliest- possibly June due to propagation demand.. You may order it but expect a wait time. 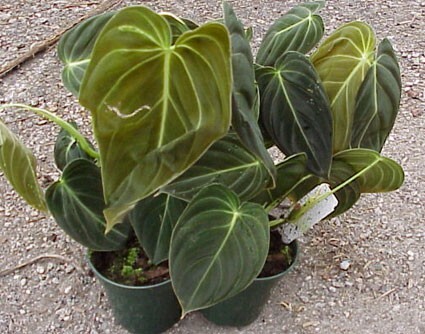 As of now we are OUT OF STOCK and do not have a future return date for this plant. Our current stock has been massively depleted with the huge influx of orders for this Diva. Keep an eye on the site and it will be restocked as soon as we have some available. It may be may not be until 2020! 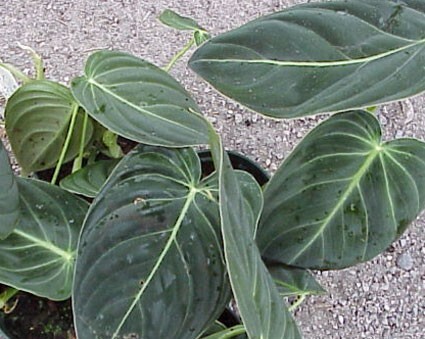 We need allow the plants to rest and regrow the stock. Please be patient!